In 2016 he opted for different path, a pleasantly sour combination of barrel aged strong beers. Expect the unexpected? 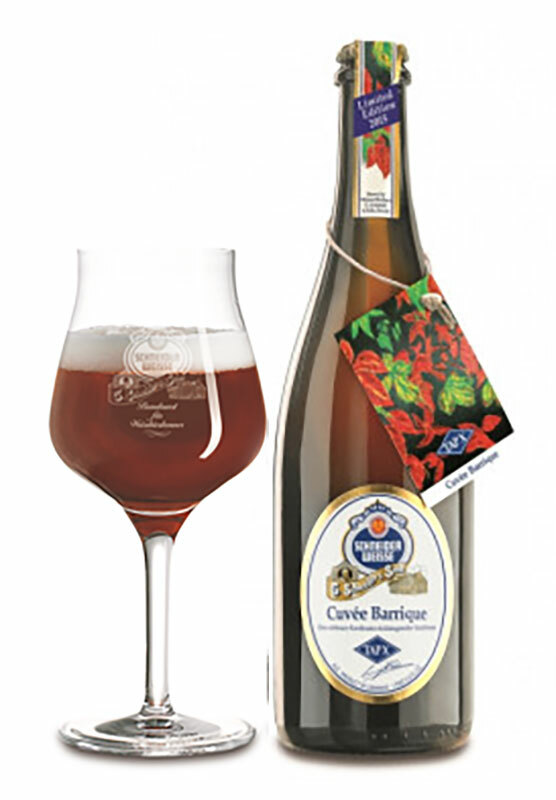 – TapX Cuvee Barrique – the incomparable pleasantly sour wheat beer specialty, ideal with version dishes or as a digestif. Matured for several months in oak barrels, this cuvee of Tap6 Aventinus and Aventinus Eisbock offers new dimensions for pioneers of enjoyment: dry, with a nutty smoky character, on your palate a wonderful balance of elegantly toasting flavour combined with toffee and paired with tart berry-like sour notes. As the oak flavours vary every year, each vintage is different and unique. We recommend pairing this TapX Cuvee Barrique with venison dishes or as a digestif with a delicious chocolate truffle.